A recent netting session for sandeel as fishing bait was produced a lovely surprise. 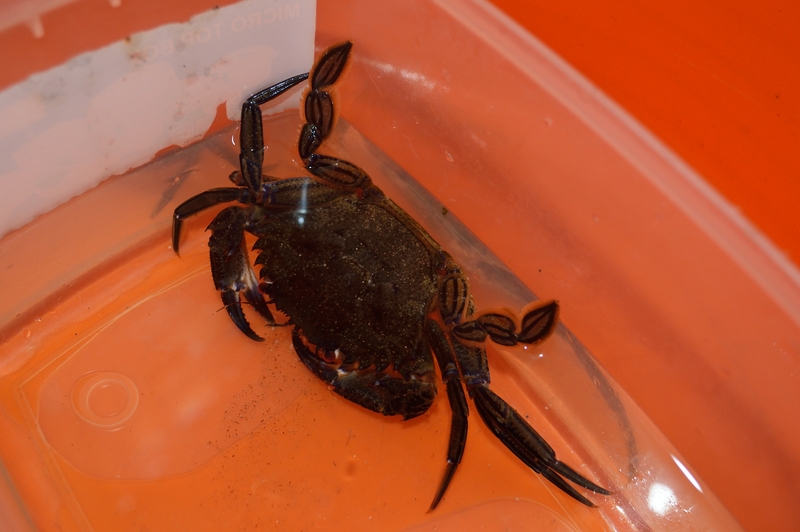 I took them home as I have already removed the velvet crab from the predator tank I thought they should be save just with prawns and hermits as company. 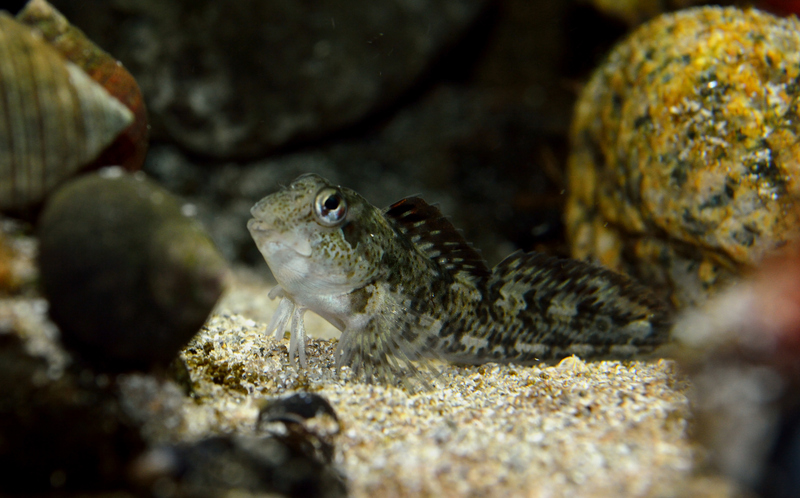 They burried quickly in the sand after moving around the tank for a while. Very cool to watch them with their jet and dumbo ear “fins”. The same night when we checked the hermits where already chewing on them 😦 I think they relied too much on their camouflage while burried in the sand. I guess they would need a theme tank for themselves but it would be worth it, they are so cute. 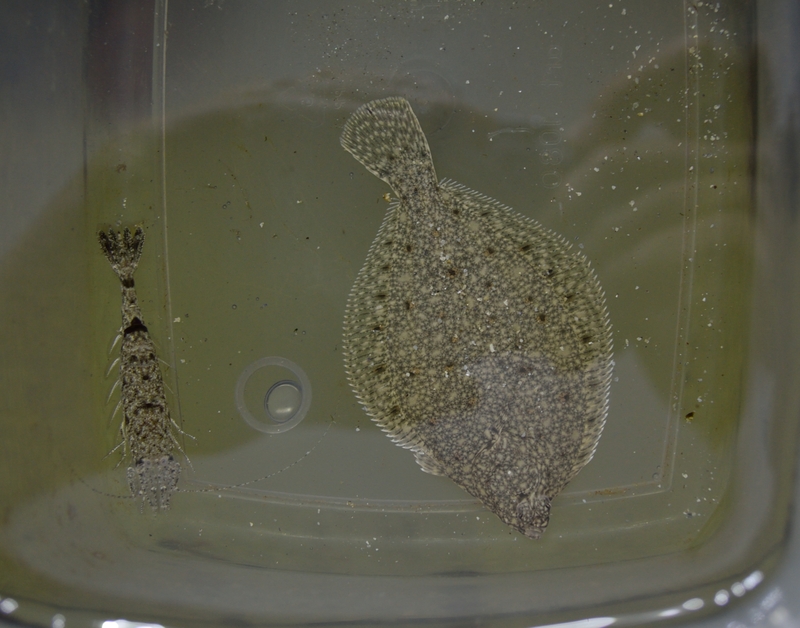 Another bicatch from the netting session was a small flounder and a few sand/brown shrimp (I believe Crangon Crangon). Nice to see two completely differnet creatures with the same habitat having such identical colouration. 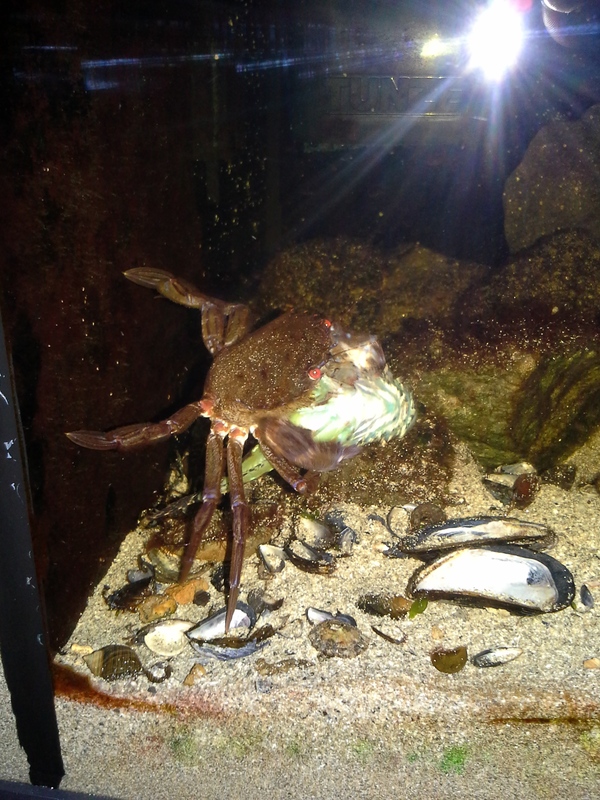 The velvet crab that was in the predator tank has nearly doubled in size from about 4cm when I caught it. 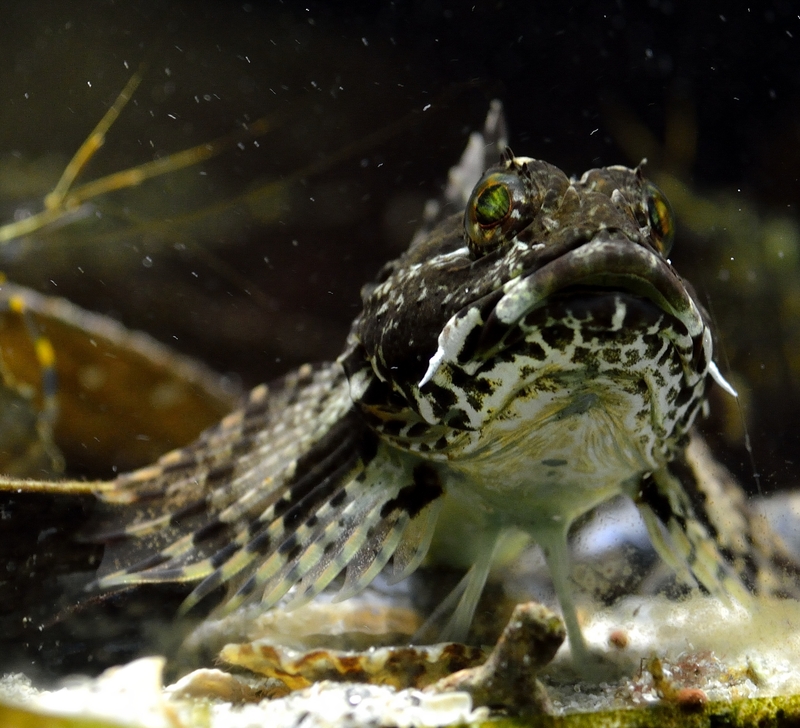 He has also eaten the 5cm Blenny and numerous snails and prawns.